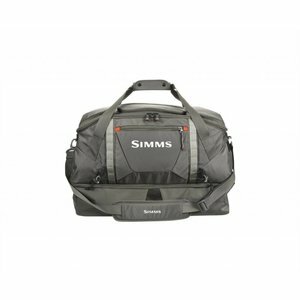 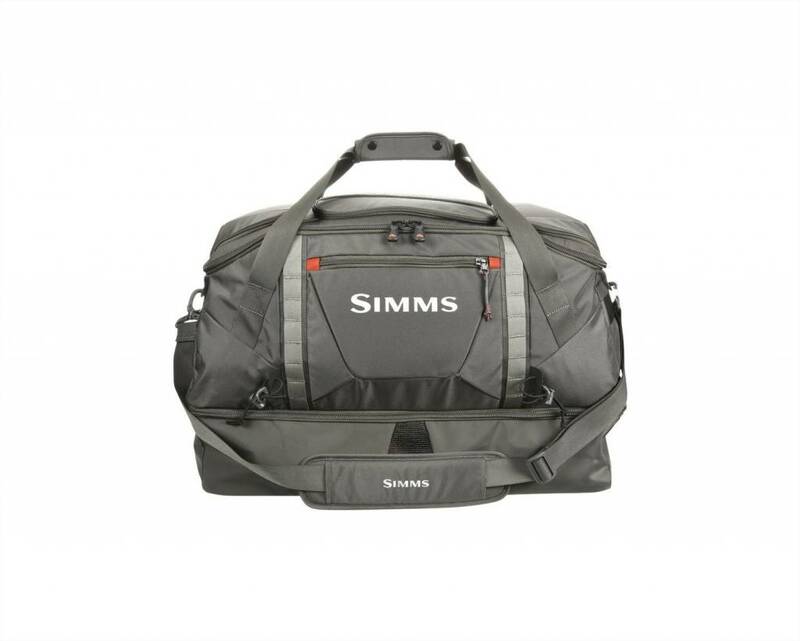 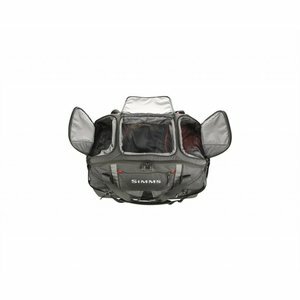 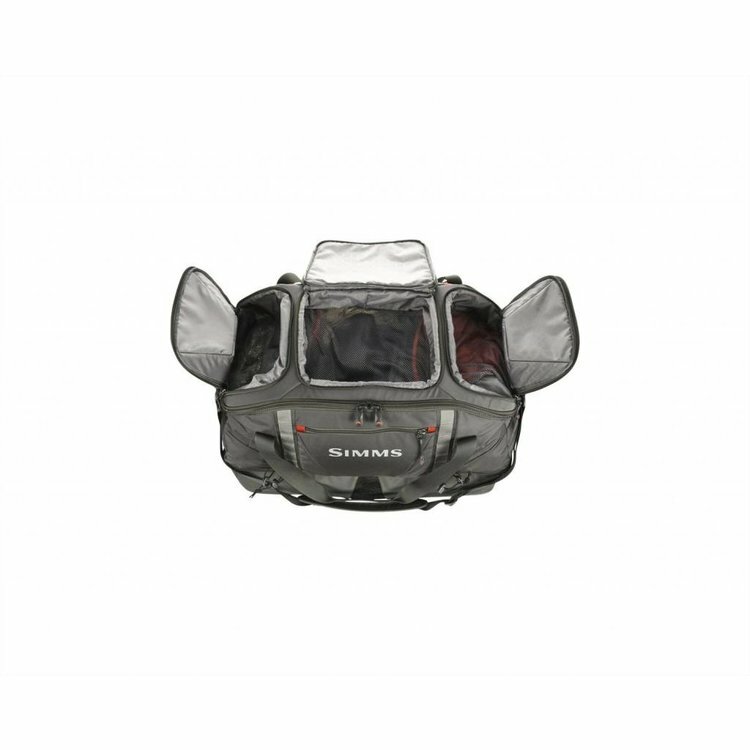 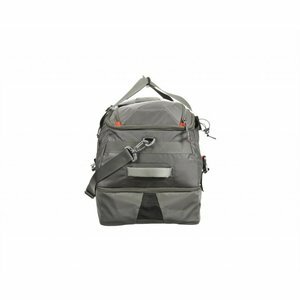 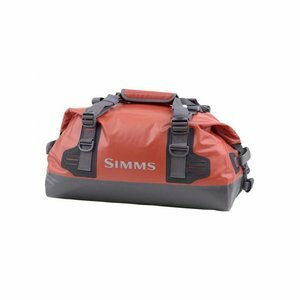 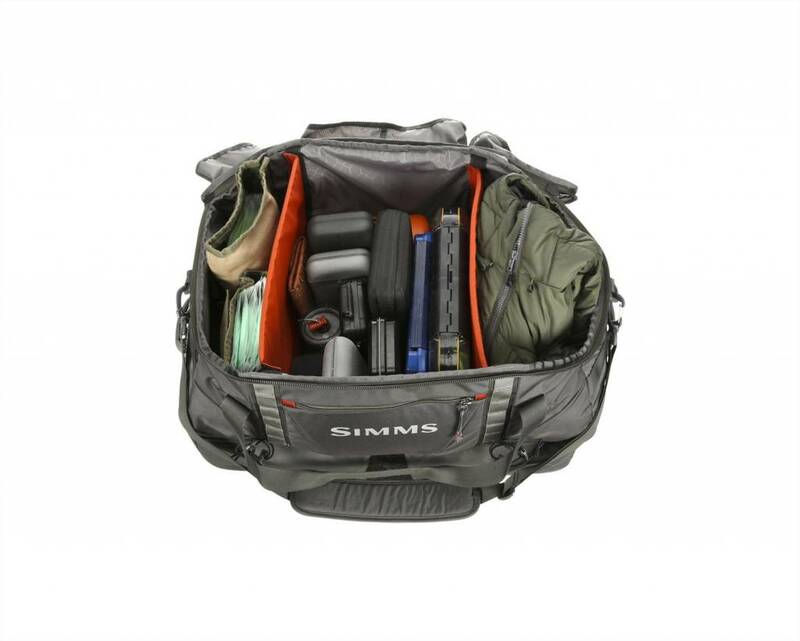 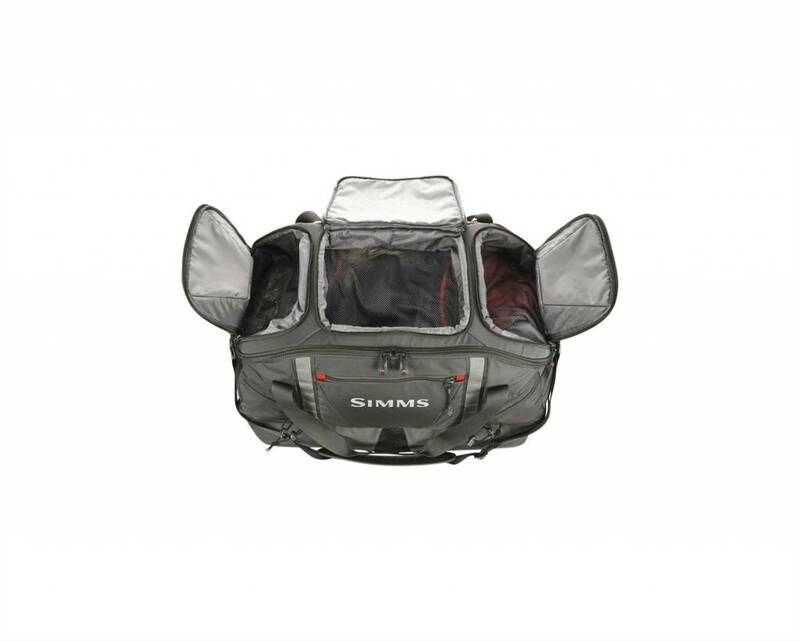 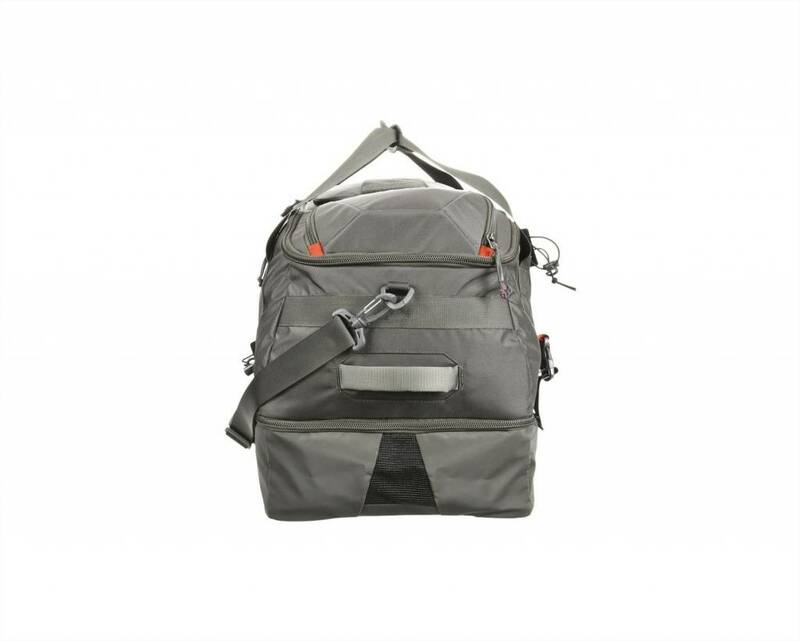 Simms Essential Gear Bag-90L, take comfort in knowing your river kit is organized and ready to roll at a moment's notice, Simms Essential Gear Bag is your ticket to arriving at the river with everything you need in one place. 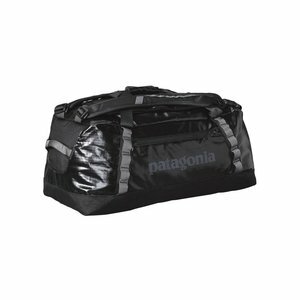 This burly bag offers a full 90 liters of space, so you can keep all of your gear organized and at the ready. 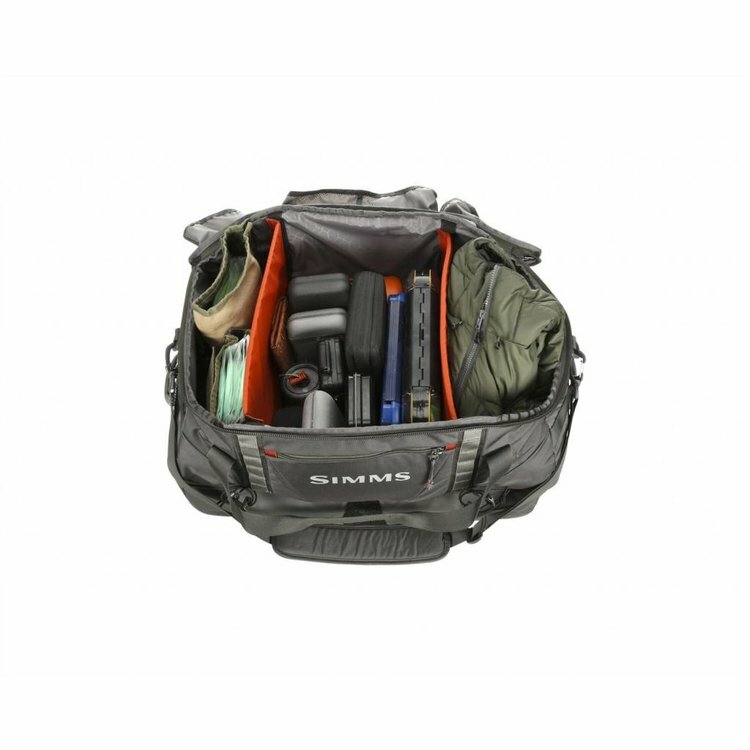 The separate and ventilated bottom zone fits waders and boots, while adjustable dividers let you customize the main compartment for dry gear. 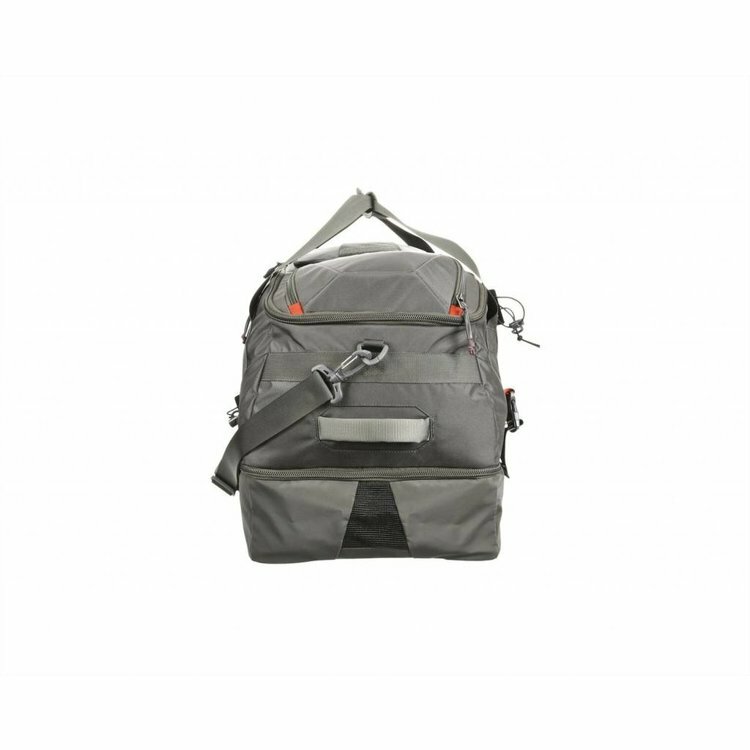 The double zipper opening gives you full access to your gear, and external zip pockets feature mesh bottoms for easy viewing. 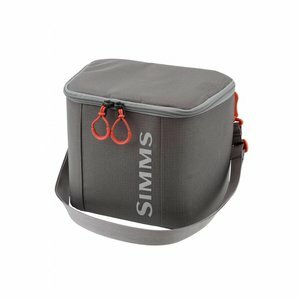 Rod tube carriers tuck away when not in use.